Lessons From Kai Bond: Serial Entrepreneur and Investor - POCIT. Telling the stories and thoughts of people of color in tech. There are people whom you hear about from afar and when you meet them, your disappointed by the hype that precedes them. During our last fireside chat with Kai Bond, this was far from the case. Kai showed up and not only lived up to his reputation but exceeded it. A little background for new readers, at Untapped Founders, we are a support & networking community for Black and Brown Entrepreneurs focused on giving advice and making warm-introductions. The mindset of the organization is that when we bring our knowledge and network together with the goal of helping each other move forward, as a collective there is nothing we cannot accomplish. For Entrepreneurs running their businesses, the advice Kai gave can be used at all stages of a company, ranging from when you are starting out to working on getting acquired. Here are some excellent recaps left by the sage serial entrepreneur and investor. As an Entrepreneur, you have to become comfortable with learning from failure and rejection. 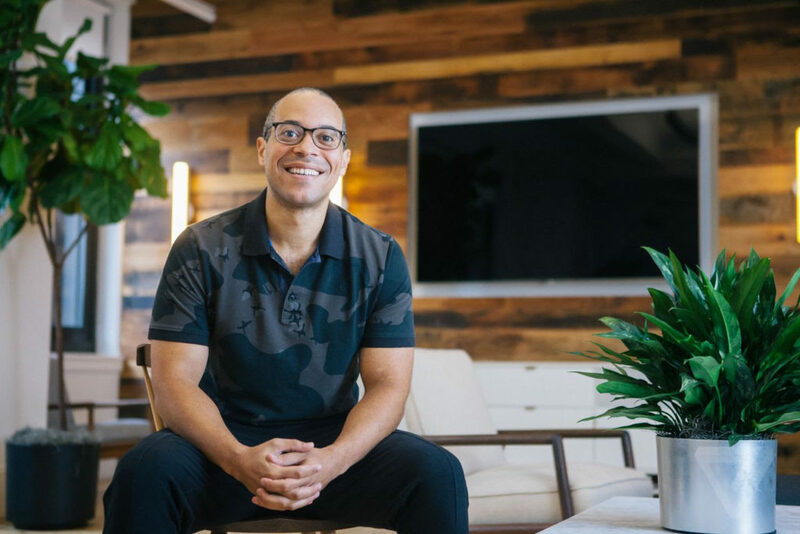 Today as a venture capitalist at Comcast and the Catalyst Fund he now has to give a lot of rejection (only 1% of companies receive capital), but there was an extended period in his life where he persevered through rejection and failure. Like many new Entrepreneurs who go out to try and raise capital, you start by talking to anyone and everyone in a three-piece suit or has the word ‘Partner’ in their job title and manages money. This description included a young Kai who went out on the road trying to raise for his previous start-up Switch Games and received a ton of rejection. Like many Entrepreneurs, he went through 100+ no’s to get that one yes that changed everything. Not only was raising extremely hard, running the company was just as challenging. Kai was initially leading operations at Switch Games, and he talked about the number of mistakes he made managing operations. As he described it, he did many things wrong, but that is normal for Entrepreneurs who figure things out as they go along. He even talked about his first time failing to sell his company. The company had agreed to move their entire team to Seattle and structured their whole operation for the buyer. Everyone was excited about the outcome and at the 11th hour, the deal fell through. Kai had to deliver the bad news to his team. The takeaway is no matter how many obstacles were presented in front of Kai, he always found a solution and a way to overcome. He shared many stories like this with the group on Saturday, making the lasting impression that every Entrepreneur in the room had the capacity for success within them. When you are running and trying to scale your start-up, you have to set a culture and work ethic that will allow your company and your team to succeed. Success at early stage companies is not a 9–5 operation with an unlimited vacation policy many of today companies have. It’s an all in grind that includes working weekends. The first lesson that Kai parted was founders have to realize no one will work as hard as you in your company. If you own 80% of your company, do not expect people to work nights and weekends with you. Personally, this resonated a lot with me as a founder because until I understood this notion, it was a major frustration point when running my past businesses on why no one worked all Saturday besides me. After you have accepted the C-Suite will be hardest workers at the company starting with you, next we want to maximize your team’s output. Kai specifically talked about how he was managing his engineering team. He expected 35 hours of solid coding every week, and this was after scrums, meetings, etc. The work schedule he set was from 9:30 am to 7:30 pm, which are long days. He gave benefits such as giving extra days off throughout the year to keep his team motivated and to work hard during crunch times. Overall we learned about how he became good at building productive teams. As your company grows, your responsibilities as a founder will change. You will start off being very involved in every part of your company and eventually transition into learning how to trust and manage others to execute your vision and being hands off on minute details. Another area that we touched upon with Kai is the dance Entrepreneurs and Investors do when raising capital. Below are key take aways for founders looking to raise. One of the worst things you can do with an investor is to lie or bend the truth. Investors have a vast network of people they communicate with, and if they end up leveraging their relationships to do due diligence and find out what you said is misleading, it will be hard for them to trust you with a check. Kai illustrated this story with a start-up seeking capital and had “pivoted”. When Kai touched base with one of the engineers on the team, he found out the pivot was due an ensuing chaos at the start-up, an important detail the founders omitted. Investors are the professionals “No Sayers”. They say no to 99% of the start-ups that pitch them, but a “no” now is not “no” forever. Often an investor will say “but I expect xyz” or “when your at benchmark abc”. In that case, keep them updated in an organized newsletter. It is about building lasting relationships for the present and the future. Kai discussed how some of the best companies send him very structured quarterly or monthly updates. The emails are typically in bullet points and very nicely formatted. He also mentioned that the emails do not just highlight the good but also the bad as well, which ties into the previous point of being honest with investors. Important Side Note: This is one of the issues I am addressing with minority Entrepreneurs. I’ve noticed many founders wait to talk to investors when they need money and expect checks to be written immediately and this never works. Approach investors when you do not need money and keep them updated on your progress. At Untapped, we have resources for starting these relationships. A good entrepreneur knows a lot, a great entrepreneur acknowledges what he/she doesn’t know, and how to find someone with the correct expertise. Kai emphasized a lot on an Entrepreneur being coachable as a positive sign for investors. One Entrepreneur that he highlighted was Austin Woodridge of PlayersLounge. When Austin initially approached Kai, he received the infamous no. However, as mentioned above, Austin kept in contact with Kai. Kai talked about how Austin listened and asked for advice. Eventually, PlayersLounge went through an accelerator and had explosive user growth and revenue, which lead to Kai finally investing. Now Kai communicates with Austin on a weekly basis listening, advising, and supporting the company. Austin and Kai’s communication highlights a good investor and entrepreneur relationship that has more value than just money. The were other significant points brought in the conversation with Kai, but you will have to attend Untapped events to get the full value of your fireside chats. What Kai exemplifies is how Entrepreneurs have to do a lot of learning to become successful. Kai learned how to be great through many experiences and now can share his knowledge with others. At Untapped Founders, we appreciate having guest like him because of the insights he able to share and the identity he can help establish for Black and Brown founders. Startups are more than just fundraising, its a path of untold challenges and growth. As a community, we help founders navigate those obstacles to point where they can be successful as Kai and give back to the community. Are Khan Academy And Private Schools A Part of The Problem? "Tech Bae" - The Tech Version of Insecure? 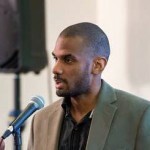 Devin Dixon is a technologist and a serial entrepreneur. In 8th grade, he taught himself how to program in C++, started his first business while in college, and majored with a computer science and business degree. Today Devin is the CEO and Founder of Sprout Connections, a lead generation platform centered around professional events. While pioneering his own business, he likes to help many other entrepreneurs with their technical needs and give back to the community that has supported him. Outside of business, Devin is an avid runner. After running D1 Track in College, he loves to compete in Spartan Races and Tough Mudders. He also likes to watch Anime and read Japanese Mangas.